We know you have been eagerly awaiting the arrival of the new Christmas craft collections. Featuring new designs from First Edition, Dovecraft, Belle and Boo, Me to You and Helz Cuppleditch, there is a style for everyone from modern to traditional. The Night before Christmas by Helz Cuppleditch encapsulates the excitement and joy of Christmas Eve. Festive creatures stir, preparing their homes for the eagerly anticipated arrival of Santa Claus and his reindeers. The cheerful craft collection The Night before Christmas includes paper packs, decoupage pads, character toppers and wooden embellishments. Join Belle and Boo on their fun filled adventure as they prepare for Christmas Day. Be delighted by the beautiful illustrations of classic Christmas scenes, as Belle and Boo capture the magic of the festive period. The charming Belle and Boo Christmas collection includes paper packs, decoupage sets, clear stamps and adorable embellishments, perfect for inspiring crafters of all ages to get crafty this Christmas. Back by popular demand, you will also be able to craft with the First Edition Silent Night and Gilded winter papercraft collection. These premium pads sold out last time so do not miss out on them! The Dovecraft North Pole papercraft collection is full of festivities! The nostalgic craft range features charming vintage inspired designs in a distressed, red, and blue and kraft colour palette. The collection includes paper packs and a selection of coordinating embellishments such as wooden frames, sentiment toppers, plastic buttons and many more. Have a merry Christmas with the new Dovecraft Glad Tidings papercraft collection. Glad Tidings combines traditional festive designs with a classic Christmas colour palette to create a delightful collection featuring reindeers, snowflakes, Christmas trees, and holly, perfect for your handmade Christmas crafts. Me to You Tatty Teddy has a new Christmas collection full of festive patterned papers, clear stamps and embellishments. Craft adorable Christmas projects for all ages with the nation’s favourite grey bear. With a Nordic colour palette of red, blue, green and grey, the collection features a range of cute festive elements for your Christmas craft projects. The Dovecraft Christmas Basics papercraft collection features modern stylish designs with festive kraft, red and green colours. The Dovecraft Christmas Basics collection is all that you need for your festive craft projects with 12” x 12” paper pack and embellishment including jingle bells, glitter pots, die sets and much more. 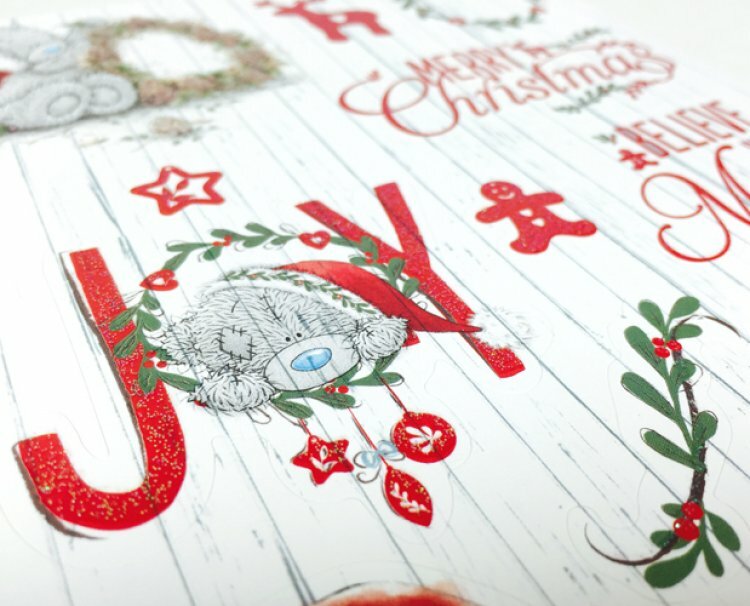 Our Christmas collections will be heading to stores late July and we will have plenty of inspirational festive makes to show you so keep an eye out for them! We would love to hear what you think about our new Christmas collections, have you got your Christmas craft plans ready? Do you have a favourite Christmas collection?